It won’t have escaped most people’s attention that the World Cup begins on Thursday 14th June with Russia, the tournament hosts, playing Saudi Arabia. England begin their campaign on Monday 18th June against Tunisia with a more muted sense of expectation than before. As in previous tournaments England’s matches will be dissected by an army of pundits ready to offer their expert verdict on the team’s performances, but during this World Cup every pass, movement and attempt on goal will be scrutinised and supplemented by an increasing array of statistics that try to provide a more insightful analysis of each game. Whether on television, newspapers or through social media you will find England’s performances measured by such things as: time in possession of the ball, number of shots attempted, the quality of these shots, percentage of completed passes, number of corners and free-kicks awarded or conceded, distance covered by each player, and the types of passes between players. But what do these statistics really mean, how, as spectators and fans, might we interpret these numbers and use them to inform our own verdict on England’s performances? In this blog I will outline two of the most commonplace statistics and show why we should treat them with a degree of scepticism if we really want to know how well or badly England have played. One of the most common metrics used is time in possession of the ball. Since the inauguration of the Premier League in 1992 the title winning team have been in possession of the ball for an average of about 55% to 60% of the time across all their games during the entire season. Leicester’s amazing 2015-16 title performance is the exception since they won the league averaging just 44% of possession. During the 2017-18 season Manchester City averaged just under 72% of possession but Swansea were relegated despite averaging 45% of possession which was more possession than 7th placed Burnley (44%), 10th placed Newcastle (42%) and 15th placed Brighton (44%). Putting this another way Swansea were relegated having had more possession during the season than Leicester had when they won the title two years earlier. Whilst having more possession of the ball is important, it is not necessarily a reliable measure of success. Arsenal fans might appreciate this observation when their team lost 3-1 at home to Manchester United last December with Utd being in possession of the ball for just 27% of the game (https://www.transfermarkt.co.uk/arsenal-fc_manchester-united/statistik/spielbericht/2872256). If we require a further lesson we should look back to the last European Championships when England lost to Iceland having had possession for 68% of the game and making twice the number of passes. It is possible that England could, like Leicester, defy the numbers and win the World Cup having had less possession over the course of the tournament than their opponents. This is unlikely, but we should exercise caution in assuming that having more possession of the ball is a straightforward indicator of a successful performance. Another popular metric that you may see concerns the percentage of passes each player and the team successfully completes. As with percentage possession time the number of successfully completed passes can be mis-leading because it does not identify the type of pass, where on the pitch the pass was made or the extent to which the pass helped to create, either directly or indirectly, a goal scoring chance. Take this as an example, a Centre-Back has a pass completion rate of 85%, on face value this seems pretty good but when we look more closely at the passes we see that they are predominantly short passes played backwards and sideways when not under any pressure from an opponent and unlikely to help create a goal scoring chance. Compare this to another Centre-Back whose pass completion rate is only 50% but many of these completed passes have helped to create a better attacking threat and led to more goal scoring attempts. In this example you begin to wonder about the value of the metric since it tells us very little about the outcome of the actual passes completed. This World Cup and England’s performance, like no other previous tournament, will be dissected, analysed and examined through the application of statistical metrics. Yet, as with any form of statistical analysis, we should ask important questions about what the numbers mean and how they might otherwise be interpreted. What seems an impressive number could actually distort our understanding of what is really happening on the pitch. The increasing use of statistics in football is certainly welcomed and provides some different insights into the game, but we should also view them from a critical and sceptical perspective and not let these numbers dominate our interpretation and understanding of the game. This entry was posted in Alex Twitchen, Football, Football World Cup 2018 on June 5, 2018 by Caroline Heaney. Women’s Sport 2017 is On Fire! The summer of 2017 has been an outstanding season for women’s team sports. In the Netball Quad series earlier this year, the England Roses missed out on the title by just one point to the Australia Diamonds at Wembley. England beat India by just nine runs in a dramatic world cup final at Lords thanks to Anya Shrubsole’s remarkable bowling. The England football team reached the semi-finals losing to the home nation, Netherlands at EURO 2017 but becoming national heroes. The Red Roses steamed into the Rugby World Cup final with an intense game against the very strong side of New Zealand, the Black Ferns. It wasn’t the happy ending they were looking for but the nation got behind the event to watch two of the best women’s rugby teams in the world. Not only has the Nation been so successfully in so many different sports, but the public have demonstrated a huge hunger for more! The women’s EURO 2017 viewing statistics hit record highs of 4 million, beating Celebrity Big Brother and the British Bake Off marking the highest audience figures for Channel 4 this year (Kennel, 2017). Earlier in the year, the England v Australia Netball game drew in half a million viewers on BBC2. Women’s cricket is also in high demand selling out Lords with 26,500 people and 1.1 million tuning in to watch the World Cup on Sky (Whaling, 2017). Recently, the Women’s Rugby World Cup, held in Ireland reported a record total attendance of 45,412, a peak of 2.65 million tuning in to ITV in the UK to watch the final between England and New Zealand and a vast increase in social media engagement. Looking ahead, this trend is likely to build rather than fizzle with 80,000 tickets having already been sold for the Women’s Hockey World Cup 2018. Household names are cashing in on women’s sport with Vitality, Investec, and SSE sponsoring various sports and television companies are battling to secure broadcasting rights for women’s sport. Now, Kia have continued their investment with the Ladies’ PGA deal. It seems that the opportunity to watch women’s sport has never been better and it is an ideal time for other brands to invest. Now, when I read about sport or listen to the news, I’m wondering why there isn’t more of a distinction so I know whether they are talking about men’s sport or not. We can’t just say ‘Football’ and assume that it is men’s football. This entry was posted in E314, Equality, Football, Gender, Helen Owton, sociology, sport psychology and tagged Women's sport on September 20, 2017 by Helen Owton. On Sunday 6th August 2017, the Netherlands stormed the final after a stunning 4-2 win against Denmark having knocked out the Lionesses in a surprising win. At the start of the tournament, however, they were ranked 9th with favourites Germany being knocked out by Denmark in the quarter finals. When the hosts win it adds weight to the argument that ‘home advantage’ is a powerful weapon, but surely, home advantage can’t be that powerful? Firstly, the idea of home for an individual performer may be very different, however, and the concept of ‘home’ is thus one that differs for each sport and its performers. Nonetheless, home advantage is a phenomena which has been a hotly debated contentious issue but appears to be very real. Research on home advantage found that home teams are more likely to win 53-69% of the time (Courneya and Carron, 1992). Indeed, research shows that nations hosting international sporting events can improve their medal count by around 25% (UK Sport, 2011). For example, in London 2012, ‘Team GB’ achieved a 27.8% increase in medal count (47 in 2008; 65 in 2012). Various reasons have been sought to explain this home advantage phenomena. The presence of a supportive audience appears to be the most critical factor (Cox, 2012) and the size, density and proximity are important aspects to consider when evaluating the influence a crowd has which can activate the autonomic nervous system producing physiological and psychological arousal. This of course could have positive or negative effects on both teams. For example, a home team might feel ‘overwhelmed’ by the pressure of such a momentous occasion but an away team may experience the pressure in a different way. Other factors include the issue of travelling to distant venues for visiting athletes; the unfamiliarity of stadiums and changing rooms for away teams, for example (Pollard, 2006). Nonetheless, the home advantage is dependent on a number of factors, including the familiarity of surroundings, the effect of travel on the opposition, an evolved response to defend home territory and the impact of the belief that we are more likely to be successful at home. Additionally, some of these factors are interrelated because the home crowd’s support might indirectly influence the thoughts and actions of the referee as well as the opposing team. Indeed, Lucy Bronze mentions that the game against Netherlands was ‘a different game’ and needed to ‘silence the crowd’ and that referee decisions didn’t go their way. In the Lionesses versus Netherlands game there were some hotly debated referee decisions. Indeed, referee bias is one of the many factors that contribute to home advantage. The idea that there is an unconscious impact that the home crowd have on refereeing decisions is a contentious one and is obviously hotly disputed by most sporting officials. Nonetheless, it could be that the power and strength of the home crowd subconsciously encourages a referee to go along with a crowd particularly if the decision is open to interpretation. I think what makes home advantage so impressive is that unexpected teams win and it’s always surprising to watch a low ranked team work their way to victory! There were indeed some other unexpected stories in this year’s women’s EURO 2017. Out of the teams making their debuts in the final this year Austria (ranked 13) quickly became the team to watch as they built on their successes and got strong and stronger after each game until they lost against Denmark (ranked 12th) on penalties (3-0). A great experience for Austria! France were strong contenders but were knocked out by England. Whilst Germany (ranked 1st) dominated the tournament since winning in 1989 making it an impressive total of champions 8 times, they got knocked out by Denmark in the quarter finals opening up the way for a new champion team! The hope was on the England to win the tournament, possibly adding pressure to their game as they played Netherlands. With the large supportive home crowd, it wasn’t to be for England. The fact that there has been a possibility of ‘home advantage’ during this WEURO2017 indicates the large crowd sizes which have been approx. 30,000. Additionally, Channel 4 have shown all the matches and peaked 4 million audience sizes, beating Celebrity Big Brother and Panorama (Sweeney, 2017). A huge leap for women’s football and the misogynistic comments on twitter are becoming an old fashioned dying breed. I’m sure the nation will be excited about the Women’s World Cup in 2019 which is to take place in France! It will be interesting to watch whether the ‘home advantage’ will have the same results for France. *Home advantage is a topic covered in E313 Exploring Psychological aspects of athletic development. If you are interested in studying sport and fitness at the OU please visit the ‘study with us’ tab at the top of the page. Corneya, K.S. and Carron, A.V. (1992) ‘The home advantage in sport competitions: a literature review’, Journal of Sport and Exercise Psychology, vol. 14, pp. 28–39. Cox, R. (2012) Sport Psychology: Concepts and Applications, New York, McGraw-Hill. Pollard, R. (2006) ‘Home advantage in soccer: variations in its magnitude and a literature review of the interrelated factors associated with its existence’, Journal of Sport Behavior, vol. 29, pp. 169–189. This entry was posted in E313, Football, Gender, Helen Owton, psychology, sport psychology on August 8, 2017 by Helen Owton. As the ICC Women’s Cricket World Cup draws towards its conclusion, the summer of women’s sport takes to the football pitch with the UEFA Women’s Euro 2017 competition getting underway on July 16. It will be the 12th women’s Euro tournament and is hosted by the Netherlands for the first time, who will launch proceedings with a match against Norway in Utrecht. A total of 47 UEFA nations took part in the qualifications for the tournament and this will be the first time the finals will involve 16 teams rather than 12. In 2015, the FIFA Women’s World Cup also upped its number of teams from 16 to 24, highlighting how women’s football is growing in size and popularity. According to a recent report by UEFA, there are 1.27m registered female players in Europe in 2016-17. Media coverage of the sport in the UK is improving with Channel 4 announcing that it will be showing all of the games featuring England and Scotland. Other games will be shown on British Eurosport 2. During the tournament, there will be a focus on increasing the number of women who play football through a campaign called Together #WePlayStrong. It focuses on three key aspects that embody the game: skill, togetherness and positive attitude. Germany, the holders and ranked first in 2017, have dominated the tournament since winning in 1989, lifting the trophy an impressive eight times. They also put an end to Brazil’s winning streak on July 4 2017 in the lead-up to the Euros. They will meet one of their biggest rivals, Sweden, on their opening game on July 17 – a team who are yet to beat them. Dzsenifer Marozsán, who had a long football career as a junior, has appeared more than 60 times for Germany’s senior team. She is a highly skilled technician with the football who, after being instrumental in winning the Olympic Gold medal in Rio 2016, is one to watch. France are also strong contenders and have had a successful year so far. They face Iceland first who beat Scotland 4-0 in the qualifying round in June 2016. England – known as The Lionesses – made history by finishing third for the first time in 2015, by beating Germany for an extremely well-deserved bronze medal at the FIFA Women’s World Cup 2015. They are a resilient team and have become female role models to a younger generation. Since 2015, the team have been building on their success and on July 1 beat Denmark 2-0, with both goals scored by the captain for the game, Ellen White. She is known for scoring one of the best goals in the history of the FIFA World Cup in 2011, and is definitely another player to keep an eye on in this tournament. The England squad has been announced – and there has been a bit of a shake up. There are some familiar stars from the 2015 world cup, including Fara Williams, Steph Houghton, Lucy Bronze, Laura Bassett and Fran Kirby – but also some new names. Demi Stokes (defender), Isobel Christiansen (midfielder), Nikita Parris (striker), and Millie Bright (midfielder) all make their debut for England. The Lionnesses’s first game, versus Scotland, takes place on July 19 in Utrecht at 19.45 UK time. England are favourite to win their group. Scotland make their debut in the Women’s Euros this year. The team is ranked 11th but has made strong progress on financial, commercial and equality issues for women’s football in Scotland in the lead up to the Euros. Despite a few injuries, the team demonstrated their form on July 7 beating Ireland 1-0. After they play England they’re lined up to play Portugal, ranked 23rd, and then Spain who are ranked 6th. Other teams making their debuts in the final this year include Belgium, Austria, Portugal, and Switzerland. Switzerland, in particular, shouldn’t be underestimated. • First game starts: July 16. A full fixture list is available on the UEFA website. • The top two teams in each of the four groups will progress to the knockout phase. • The final is on August 6 in Enschede. This entry was posted in Football, Gender, Helen Owton and tagged Euro 2017 on July 13, 2017 by Helen Owton. With the knockout stages of Euro 2016 underway see how good you are at taking the perfect penalty by playing our penalty shootout game. Can you train for penalty shoot-outs? This entry was posted in Euro 2016, Football on June 28, 2016 by Caroline Heaney. Many of the players at Euro 2016 will have been recruited to football clubs as children. Football has become such a big business that top clubs are under great pressure to ensure they recruit the next Cristiano Ronaldo before their nearest rival. As a result, they are taking on players very young. British clubs commonly take advantage of the fact that they can sign players on schoolboy terms from the age of nine. And the clubs invite even younger children to their development centres and have been known to scout five-year-olds. When a youngster signs for a big club, they and their parents sometimes have to agree not to play other sports or play for other football teams for fear of injury. This helps explain why British players who go on to become professionals tend not to participate in other sports. Yet the average age of World Cup winning teams is as old as 27.5 years. So is this early specialisation necessary? Many specialists like myself would say it looks more like a by-product of the current talent development system rather than the most effective route to expertise. Research suggests that in sports like football where players reach their peak well into adulthood, you needn’t specialise before the age of 13; and you’re more likely to keep playing and to become an elite performer if you take part in a range of activities between the ages of six and 12. One of the main arguments in favour of early specialisation is the hypothetical positive relationship between the amounts of time you spend practising a sport and the level of achievement you go on to attain – the idea that 10,000 hours of practice makes perfect. But this has been widely contested within sports research – and, even if this is true, it’s not necessarily an argument for concentrating on one sport. 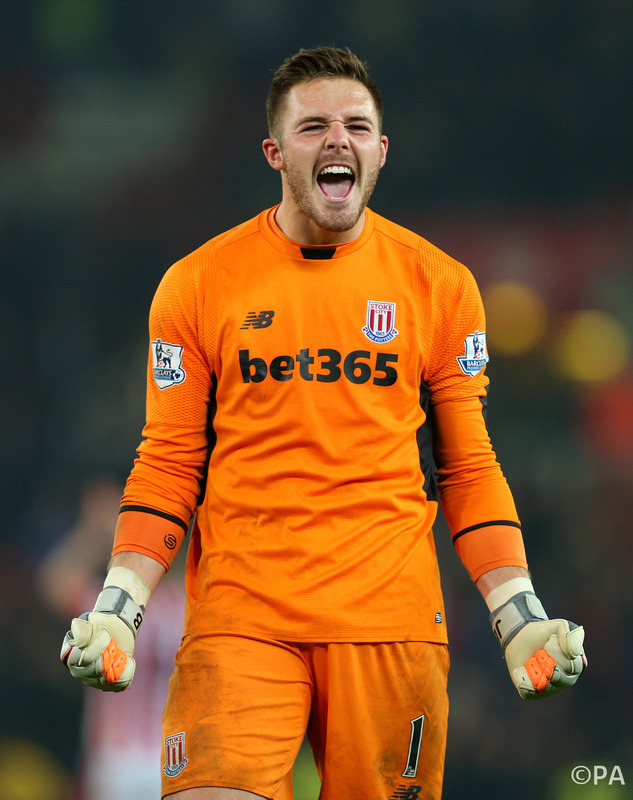 For example the Stoke City and England goalkeeper Jack Butland, who is missing Euro 2016 through injury, played rugby alongside football until he was 16. He strongly believes the rugby helped him develop as a goalkeeper. The research evidence suggests that related team sports with similar rules, movement, dimensions and strategies to football have the most transferable benefits. Playing darts may not be quite as beneficial, in other words. At top UK football clubs, only one in 200 of those under nine make it to the senior team. There are obvious psychological effects on young footballers having to cope with not only the time demands and pressure of being part of a professional club but often the brutal rejection following years of commitment. It also takes its toll on the body by subjecting young players to more frequent and intensive loads. Between 10% and 40% of football injuries among children and adolescents are from playing too much. Players under 14 incur more training injuries than older players and they develop growth-related disorders linked to overplaying because their skeletons and tissue are still growing. The evidence indicates that children are better off not training intensively, yet the UK has recently adopted an Elite Player Performance Plan that focuses on early specialisation and increases the number of on-pitch hours for youngsters per week. For all these reasons, the compromise for numerous continental European football clubs is to engage players at a young age but not to make them overspecialise. For example FC Barcelona is Europe’s largest multi-sports club. It has four professional sections besides football – basketball, handball, roller hockey and futsal (a variant of five-a-side football). There are also six amateur sections – athletics, rugby, volleyball, field hockey, ice hockey and figure skating. Another example of this approach is Sporting Clube de Portugal, home to Sporting Lisbon. Then there are clubs such as Belgium’s Standard Liége, which are not multi-sports clubs but do provide coaching support that develops general skills and abilities, such as agility and coordination, that can be transferable to numerous sports. These clubs approach youth football in these ways because the reality is that early specialisation is not the most effective route to the top. Countries whose clubs operate in this way are surely more likely to end up with the better players in the long run. The UK has long had a reputation for producing very few top players from club academies. If Euro 2016 ends up being another campaign where England falls short, it needs to take this into account. This entry was posted in Early specialisation, Euro 2016, Football, Jessica Pinchbeck on June 27, 2016 by Caroline Heaney. As Euro 2016 moves into the knockout stages football fans will be preparing themselves for the prospect of a penalty shoot-out or two. Penalty shoot-outs are rarely missing from a major tournament and are a source of great stress and excitement. England fans have a love-hate relationship with the penalty shoot-out. The excitement of a penalty shoot-out is unquestionable, but England teams are not renowned for their success in penalty shoot-outs. The men’s team have had several exits from major tournaments at the hands of a penalty shoot-out (e.g. 2006 World Cup, Euro 2012) and the women’s team exited the 2011 World Cup after losing to France on penalties in the quarter final stages. So what is it about the penalty shoot-out that makes it so intense? The penalty shoot-out in a major tournament is probably one the most highly pressured situations in football; the stakes are high and the margins for error are small. Additionally, the personal accountability of individual players is probably higher than in any other situation in football, where normally responsibility is collectively shared. No-one wants to be the player responsible for their team exiting a major tournament, and history shows that unsuccessful penalty takers are often ‘scapegoated’ and ostracised by their national media. Interestingly it appears to be the penalty takers rather than the goal-keepers who tend to fall victim to this negative media attention, perhaps due to the expectations of a penalty shoot-out: penalty takers are expected to score and goal-keepers are expected not to stop them. Obviously when a goal-keeper makes a winning save they become a hero in the eyes of the media, but rarely are they subjected to the same media condemnation as a player who misses a penalty when they fail to save a penalty. As a result of this teams often focus a significant amount of effort on preparing for the possibility of a penalty shoot-out. The Welsh team, for example, have reportedly been practicing penalties in preparation for the knockout stages of Euro 2016 . Psychology is certainly a significant factor in the penalty shoot-out. As a sport psychologist I like to watch a player prepare to take a penalty and predict whether they will be successful – there are certain psychological cues that are indicative of the outcome. Researchers have investigated these and have identified various factors that can influence the success of the penalty shoot-out. Some of these are explored in our penalty shoot-out game below. As with most tasks, confidence is key. A player who is confident and believes that they will score is more likely to do so. There is no room for doubt in a penalty shoot-out. Confidence can be seen through visual cues such as eye contact. A player who lacks confidence may avoid making eye contact with the goal keeper. Good goal keepers recognise these signals and will draw strength from an opponent who won’t make eye contact. Additionally, a successful penalty taker will normally take their time and not rush. Rushing can be seen as a sign of panic, whereas someone who waits is giving themselves time to compose themselves before executing the skill, perhaps utilising psychological techniques like imagery and positive self-talk before taking the penalty kick. A player may use imagery to rehearse taking a successful penalty in their head before taking it and may use positive self-talk to enhance their confidence and focus. Experience is obviously an important factor for penalty takers. Players who have previously successfully taken penalties and won penalty shoot-outs are more likely to be confident in their ability to take a successful penalty. The reverse of that, however, is that those who have had bad experiences are less likely to be confident, which goes some way to explaining the serial penalty shoot-out defeats seen in teams such as the England and Holland men’s teams – the culture of expecting to lose a penalty shoot-out perpetuates. Research has revealed that success rates in penalty shoot-outs are considerably higher for teams who have won their last two penalty shoot-outs compared to those who have lost their last two shoot-outs, even if the team membership is changed. Interestingly ‘higher status’ players, whilst likely having more experience to draw on, are sometimes less successful in penalty shoot-out situations; perhaps because the pressure of expectation is far greater for them than for players of lower status. 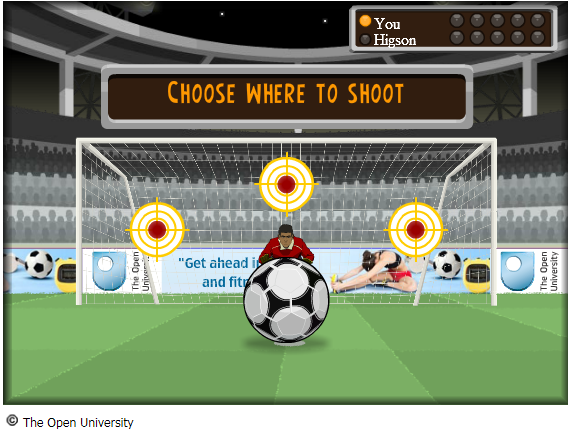 Try our penalty shoot-out game to see these factors in action. This shows that the successful penalty taker is one who is highly confident and copes well with pressure. Next time you watch a penalty shoot-out, watch the players prepare and see if you can predict whether or not they will be successful. This entry was posted in Caroline Heaney, Euro 2016, Football, sport psychology on June 23, 2016 by Caroline Heaney. Under Pressure again: Can the England team bring football home? Tonight sees England’s first fixture of this year’s UEFA Euro 2016. Roll back 2 years and 2014 saw the country gearing up for the biggest event in the football calendar, the World Cup. The 2014 World Cup saw huge amounts of pressure and expectation placed on Hodgson’s 23 man England squad. This pressure and expectation came from representing their country, the public and their manager who openly stated before the tournament that he felt he had a winning squad. Roll forward to 2016 and exactly 50 years since England’s iconic 1966 World Cup win, could this finally be England’s chance to shine? So what could make the difference? Perhaps remarkably England still have Hodgson at the helm, although often following a poor tournament result the first person to go is the coach/manager. Just look at Stuart Lancaster’s departure following England’s disastrous Rugby World Cup performance of 2015 and football is often managed in the same unforgiving way. However, despite a contract due to run till after the France based tournament it seems that this isn’t the only reason Hodgson is still in place. He not only has the backing of the FA with Greg Dyke openly saying they would back Hodgson but also he appears respected and supported by his players, ‘we are proud to play for Roy Hodgson. He’s a great Manager.’ Match this with the fact that the team have some phenomenally talented players. Where the 2014 World Cup squad could have been deemed a young squad, short on tournament experience, four years down the line a stronger team is most definitely evident with some new superstars emerging. Vardy has recently been termed ‘the most electric attacker in England’ with Kane called the ‘unconventional superstar’ and these are two players who were instrumental in stirring a comeback from 2-0 down to win 3-2 against Germany in March . Finally much has been made of new kid on the block Dele Alli, Hodgson himself has been quoted as saying he can do ‘anything in midfield’. He is a player who in the England vs Germany game played in March was billed ‘potentially the best young English midfielder for a generation left even the arch-technocrats of Germany envious of his talent’. So while the team is stable and highly promising this doesn’t take away from the fact that any international football event carries with it huge amounts of pressure which generates an increase in anxiety and stress. These are terms commonly discussed within all spheres of sport from school level to the global stage. The competitive environment is designed to elevate the arousal levels of not just the players but the fans as well. Anxiety at its most basic level can lead to co-ordination difficulties, and problems with attention to detail, all of which can prove debilitating to performance. The need for the athletes to control their emotions will be greater than ever as the team will have something to prove following their early 2014 tournament exit. However, with some solid performances behind the team in recent months and players who have faced some highly pressurized situations within the domestic game there is a hope that the team as a whole will be able to manage their anxiety and cope with the unique pressure that international events generate. Hodgson’s 2016 team is a stronger, more resilient and more experienced squad that the one that lost out in 2014 and one can surmise that such a significant defeat will have made them even more determined to lay to rest the ghosts of the last 50 years. This entry was posted in Candice Lingam-Willgoss, Euro 2016, Football, psychology, sport psychology, Sports Science, Uncategorized on June 11, 2016 by Candice Lingam-Willgoss. European Championships 2016: Home Nations dare to dream or will it be an early Brexit? On Friday 10th June the 15th UEFA European Championship will commence when the host nation, France, play against Romania in Saint Denis. This will be the first time the tournament has comprised of 24 teams and shows a huge expansion from the 4 teams who competed in the first tournament. The French are the bookmakers’ favourites to win the tournament but who else should we look out for? Spain are the holders of the title and have won the last two tournaments whilst Germany are the world champions so these two are major contenders. However, the Spanish squad is in transition with new players such as Nolito and Morata replacing Torres and Mata in the squad. The German squad still retains the majority of their World Cup winning team but their results in qualifying were underwhelming and included defeats by Poland and Republic of Ireland. As host nation the French will have home advantage and they won as hosts in 1984 in a team inspired by Michel Platini. Their team is centred around a core of English Premiership stars, such as Hugo Lloris, N’Golo Kante, Anthony Martial and Dimitri Payet, as well as world stars like Paul Pogba and Antoine Griezmann. Their will have become increasingly focused after the November terrorist attacks in Paris. The argument against a French triumph is a potential quarter or semi-final against the Germans. Portugal, Italy, Belgium and England will be hoping to get into the semi-finals. Portugal have probably the best European footballer in Cristiano Ronaldo, while historically Italy historically do well at major tournaments. Belgium are the team to look out for as in Eden Hazard, Kevin de Bruyne, Romelu Lukaka and Toby Alderweireld they a magnificent selection of individual players. However, they now need to show they can develop into a team and challenge at a major tournament. This is an exciting time for England. They qualified with 10 victories out of 10 and have an exciting young team lead by a now experienced Wayne Rooney. However, all England’s talent seems to be in attack where Harry Kane, Jamie Vardy and Dele Alli have all excelled in the last 9 months. They have good attacking full backs but a shortage of centre backs. It may be that England will need to score freely to make up for any weaknesses in defence. It is worth bearing in mind that 12 years ago this tournament was won by an unfavoured Greece team and 12 years before that in 1992 by Denmark who only qualified as a replacement for the war torn Yugoslavia. Two teams who may be interesting outside bets are Austria and Poland. Poland are inspired by striker Robert Lewandowski and recorded a qualifying victory over Germany. Austria qualified strongly winning their group with 9 wins out of 10. They have star players in David Alaba of Bayern Munich and Marko Arnautovic of Stoke City and have one of the weaker qualifying groups. What about the other Home Nations? This is the first time since the World Cup of 1958 that four Home Nation teams have qualified for a major tournament and Wales were the team who progressed furthest reaching the quarter finals on that occasion. The 1958 team was built around their star player, John Charles of Juventus, just as the 2016 team revolves around Gareth Bale, the Real Madrid striker. He is backed up by other stars, such as Aaron Ramsey and Ashley Williams. The other players include a mixture of Premiership and Championship players. This is also the case with Northern Ireland who would appear to have no big name players, although they do have a core of well experienced Premiership players in Steven Davis, Jonny Evans and Gareth McAuley. However, this band of brothers have the elusive quality of team spirit and are backed up by the raucous support of the Green and White Army. Also, they may be the only team who has a player with a current top 40 hit about them. Expect to hear the anthem ‘Will Grigg is on fire, your defence is terrified’ ringing around the stadium whenever they play. Something happens when players like Kyle Lafferty pull on the green shirt so expect some surprises. The Republic of Ireland qualified through the play-offs and have an excellent manager in Martin O’Neill. Like Northern Ireland they are a team of honest, hardworking professionals with strikers Shane Long and Robbie Keane offering a bit of star quality. Invariably at some point we will be subjected to the particular pain of the penalty shootout. Unfortunately, England have one of the worst records of all the nations involved. With 6 failures they have lost the most shootouts with a single Stuart Pearce inspired victory at Euro 1996 being their solitary success. Only Italy can come close to England with 5 failures, while Germany with 5 successes and Spain with 4 have the best records. Penalty shootouts need to be avoided at all costs! In the spirit of 1992 and 2004 I would love to predict success for an outsider but a Northern Ireland v Wales final seems unlikely sadly. I think we could see a France v England final with England being inspired by in-form strikers, Kane and Vardy. It may be fanciful but in the words of the Northern Ireland slogan we should ‘dare to dream’. This entry was posted in Euro 2016, Football, Simon Rea on June 8, 2016 by Caroline Heaney.